The report published by World Bank's Global Facility for Disaster Reduction and Recovery states that total annual damage, averaged over a 10-year period, grew up tenfold during last 40 years and reached over $140bn in 2005-2014, and the average number of people affected each year exceeds 170 million. 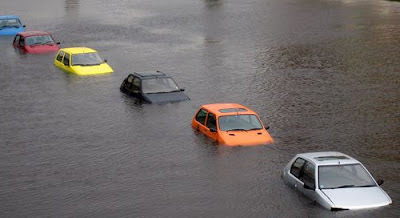 Climate change related events like sea level rise, increase of intensity and frequency of storms, escalation of extreme temperatures and precipitations - are among major global disaster risks. Expanding global population and fast-growing urbanisation, especially in low-lying and coastal areas, just amplify vulnerability and exposure of the humankind to adverse consequences of climate change. 1.3 billion people may be exposed to these risks by 2050. The assets worth $158tn – double the total annual output of the global economy – would be in jeopardy by mid of the century without preventative actions. Developing countries are more vulnerable to the impact of climate change and they need financial help from the developed countries, which have been mostly responsible for the historic global GHG emissions. Unfortunately, only 16% of international climate finance ($4bn–$6bn per year) are currently dedicated to adaptation measures.